Retainly is one of the most popular marketing automation companies which have grabbed the market quite well. The work mainly revolves around generating leads and sending emails. This company has gained a lot and in this field. They also had to pay a monthly rental to this platform, therefore, they decide to create their own token and a new platform of their own. The new token is called the RETN and the new platform is called the COLLIE. 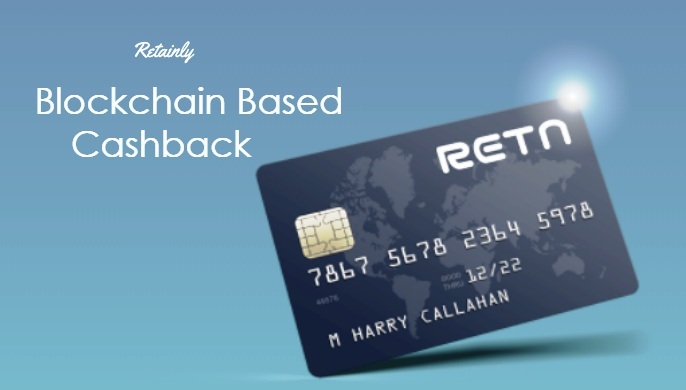 Retainly is producing the RETN token for the advancement of the company. There are many customers who are using this platform for quite some time. Therefore to keep a hold on those the companies have planned to reward them with the tokens. Presently this platform charges for its service from the users. The company provides various marketing techniques. There is various type of automation provided by the company. Once the Collie platform will be launched, the company will pay back its customers with the help of RETN tokens. The company will use the tokens to reward their buyers. It will make a profit by charging a very small amount from the users for every transaction they do with the help of new Retainly cryptocurrency. The use of tokens by both the company and the users for any transaction makes the Retainly a very interesting company for both investment and purchase of tokens. The company is planning to launch its Collie platform within the first quarter of 2018. This is the most sophisticated marketing platform that helps to provide online business, online blogging and publisher and also a great digital merchant support. It is an automation solution that comes along with many different features and proficiencies. This marketing software has a multipurpose supporting technique that deals with SMS, email and push notification. Interacting with the customer through the Intercom, Mixpanel, Segment, and Woopra helps the Retainly to gain more information regarding the user. This helps to receive information regarding everything a customer wants to know through email, SMS and push notification. This is the easiest and modest platform that helps the user to use it wisely and correctly. There is no chance to go wrong here. On the other hand, the outstanding and unique features made it different from the others. The remarkable automation capability is added to the success of this platform. The Retainly helps the user to get a deep knowledge of the platform so that the user can be friendly with features and the techniques which in return will help them to be a successful user. Finally, a company should know their customers well so that the loyalty in between the two party remains for long and that will eventually lead to success. The Retainly has come up with CRM suite that enables them to keep track and record of their user’s profile and history. This directly helps the company to be powerful in compared to the user. It can lead them to empower their customer as per their wish. User satisfaction is the main requirement for all company. It is not only important to look after the reviews given by the expertise but also it is important to have knowledge about all the real people and the companies that buy it and are quite satisfied with it. Therefore Retainly has created a Customer Satisfaction Algorithm that collects all the reviews that the users provide through the social media. Finally, a data is presented that clearly shows the positive and negative experience of the user by using this platform. This, on the other hand, helps the user also to understand the site little better way. This is a platform which is created to solve all problems related to online business. On the other hand, it also cherishes the popular leads and tries to progress their rate of growth in ground of MRR i.e. monthly recurring revenue and LTV i.e. lifetime value. Retainly helps online business to look forward to more loyal customers. This in return may help in fast business growth and lead the company to great success.